Located in the Andes mountains and becoming more popular by the day is Cuenca Ecuador. This beautiful city has become increasingly popular with tourists and retirees alike. 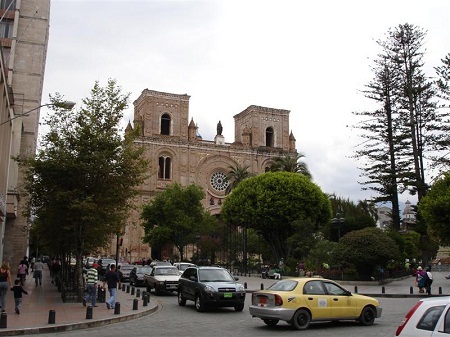 Cuenca is found south of Quito and is the third largest city in Ecuador, with a population of over 450,000. The city was built on four rivers, thus its full name: Santa Ana de los cuatro ríos de Cuenca (Saint Anna of the four rivers of Cuenca). Many come from all over Ecuador to study in the universities found here. Spanish schools are also plentiful in Cuenca for those wanting to improve their skills. Read about my trip to Cuenca. See our photos! The city was named a UNESCO World Heritage Site for its historic colonial buildings. The architecture of this area draws many tourists. Some popular stops are the Iglesia del Sagrario, built in the late 1500s and the Plaza Abdon Calderon, Cuenca's main city square. The Museo del Banco Central (Central Bank Museum) is also a great stop for anyone interested in the history of Cuenca. Many come to Cuenca to visit nearby Ingapirca. These ancient Inca ruins may not be as awe inspiring as some of their Peruvian counterparts, but they are neat to see. They are the largest Inca ruins in Ecuador. Cajas National Park is great for nature lovers. Many are choosing Cuenca as their home when retiring. For more on moving to Ecuador click here. 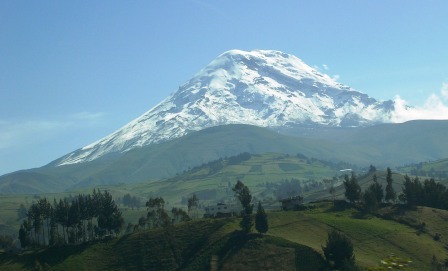 Ecuador as a whole offers a relatively low cost of living. Cuenca offers decent prices on everyday needs, but you can also find many modern conveniences. Cuenca has an active theater and arts community making for good entertainment and a variety of cultural experiences. Cuenca Ecuador real estate is plentiful, with prices ranging from around $40,000 (USD) into the millions of dollars. The climate of the Andes is also very appealing to many looking to relocate. The daily average temperature is around 60° F during the day and cooler air at night. Plus the Andes have few if any pests. Yes, that means no mosquitoes! You can travel to Cuenca by bus or by air. The bus ride from Quito is about 9 hours and about 4 hours from Guayaquil. Or you can fly in under an hour for less than $100 from either Quito or Guayaquil. Follow Life in Ecuador's board Cuenca Ecuador on Pinterest.